Fun Times! 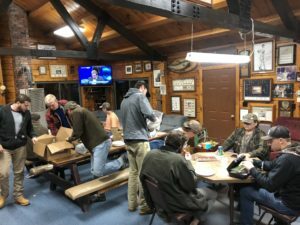 Last night members of the UMaine Fishing Club joined with veteran fly tyers from the Veazie Salmon Club to share and joy the craft of tying flies. There were loaded vises with pheasant crest, rooster fibers, and head cement being added to hooks all around the Veazie Salmon Club. Great education for all and everyone enjoyed sharing experiences so much that discussion of additional fly tying events in the future are being planned. Thanks for choosing the the Veazie Salmon Club to the UMaine Fishing Club! 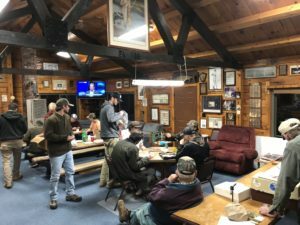 If you are interested in attending future fly tying events at the Veazie Salmon Club click here and send us a note so we can keep you in the loop.